If you have items you would like us to consider for publication in the Tabloid, or would like to be added to the email distribution list so you never miss an issue, please contact editor@portlandflag.org. 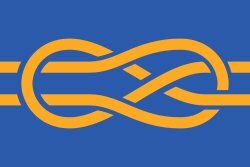 North American Vexillological Association (NAVA) Flag researchers, designers, collectors, activists, merchants, and other enthusiasts primarily from the United States and Canada. Flags and Vexillology on Facebook An open Facebook group for discussion of all things flag-related. Flag Art on Facebook An open Facebook group for discussion of the ways the worlds of art and flags intersect. Redesigning the Oregon State Flag 2009 case study by Ted Kaye provides insights into how NOT to try to change an existing flag. World Vexillology Day Celebrate flags on vexillology’s birthday, 1 October!